Who do you vote for as winner of the Pokemon Elimination Challenge? because in the last round, right when you-know-what was about to go down, two old accounts that havent made a post in YEARS suddently voted you-know-what up. But what I think? One of the you-know-what fans randomly plucked out two accounts that have been long since abandoned and used those to get their way. Evidence? Because publically bribing people with Psybucks to vote out Clefable is totally the definition of "ethical," right? Jsxtm had locked the round and PMed me about potential cheating that had gone down until I explained what I knew about the situation. Apparently it was enough to convince him that there was no cheating done. Also, regular moderators can't "pluck out two accounts" and use them. And this isn't the first time somebody vaguely implied that I was the one who cheated because I was last one to post before those other two. Spoilers: I don't care that much about elimination challenges. Maybe you too should calm down and stop having an aneurysm over what's basically a popularity contest among a dozen people. but yeah, moderators and administrators can't actually access other people's accounts without being given the password. Which obviously cannot be done unless they talk to the person who's account it is...which requires them to be active! Ohnoez! Yes, I saw that same thing immediately after I updated the round. I also found it suspicious, but I talked to Frost and a couple of other staff members, and was sufficiently convinced that nothing I considered illegal had been done for those two votes. (That's why this round was locked for a number of hours immediately after I made the semi-final round post, if anyone noticed that). So, thank you for speaking up, but I already had it covered. Actually Marshtomp is a legitimate member, I'm his sister and he really thinks Clefable is cooler than Ampharos (he can't seem to remember Ampharos, maybe because he only remembers Crystal and Sapphire Versions). He doesn't come around here anymore because he has a life now (really I only talk to him like once a week, I actually asked him Clefable vs. Ampharos in a text) but a few years ago he popped up on the forums and more notably, the chatroom. I asked him if he could swing by here and vote. The chatroom is actually where we plot against you guys and decide who we're going to boot and save. If anyone remembers Marshtomp in the chat he went by the names Harley and Umbreon. What the hell is with the abusing of the censored emote?? There's already a censor in place; if you want to type the word, "****," it's faster to just type it than find some annoyingly-orange emote to do it for you. Damn. Technically, this round has been open for 5 days, and I am very surprised by the lack of participation thus far. So, I'm going to give this round roughly another 12 hours, or to 10 votes, whichever comes first. I like Dewgong, but somebody has to go. Dewgong is the only decent pokemon left. So, 12 hours have passed, and a few more people got the chance to vote. Bellossom wins 8-6. It is now time for the FINAL ROUND. Clefable vs Bellossom. Please vote in the poll at the top of this topic; this is the official scorecard. You're allowed to post about who you're voting for and why, but the votes that count are in the poll. You should only be able to vote once, but you can also re-cast your vote if you decide to change your mind. CLEFABLE, because we defended it first from the Clefable-hate-train. 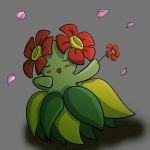 Just found this competition... Go Bellossom FTW! 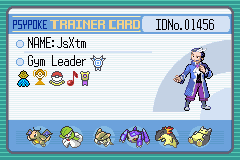 25th Post, Pokemon Trainer Status, here I come! Definitely one of the most unique Pokemon ever, she wins my vote. Last edited by fifaking on Sat Jul 16, 2011 4:02 pm, edited 1 time in total. Bellossom beats Clefable, but I still hate them both. I'm still rooting for Clefable to win, although at this point it doesn't really matter to me. Clefable and Bellossom have both been saved, so I'm happy . I voted for Clefable, for two reasons. 1) I've actually trained a Clefable, so I like it pretty well. 2) Bellossom is so totally annoying in Super Smash Brothers. ****!!!!!!!!!!!! cle **** is winning!!!!!!!!!!!! ****!!!!!!!!!!! is what I tend to think of when I hear 'Grass Type'. It's cute, frail, stronger in the sunlight, and cute (I said cute twice for emphasis). is . is cuter. But not as cute as .